Hospital Voice, a magazine for and about Oregon Community Hospitals, comes out twice a year. Each issue contains news about Oregon's health care landscape, new projects and initiatives set forth by OAHHS and our member hospitals, a Hospital Spotlights section that highlights innovations at hospitals across Oregon, and more. Hospital Voice is free and available to anyone who would like to subscribe. Click here for the latest issue of Hospital Voice magazine. 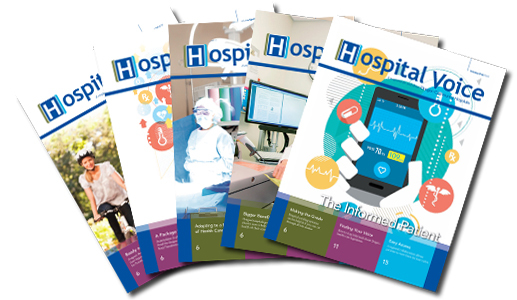 For a free subscription to Hospital Voice magazine, click here.